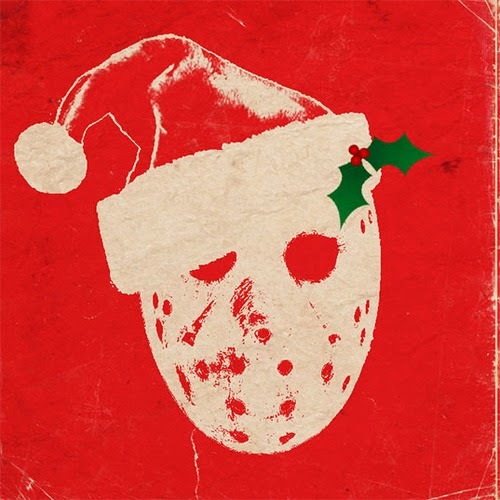 Home / Editorial / Website / Merry Christmas 2013 Friday The 13th Fans! Merry Christmas 2013 Friday The 13th Fans! We have had our busiest year for the website and we thank everyone of our readers and supporters for continuing to spread the word about our articles and news posts. Without the dedicated Friday The 13th fans, this website would not exist. I am a long time fan of the franchise and it has been an extreme pleasure to help bring so much news and information to the fans. Although the World Wide Web is vast in size, we have become one of the central hubs for Friday The 13th news and hope to grow even more in the coming years. This time of year is a great one for people to reminisce about good times and bad, and movies always seem to bring people together. Although the Friday The 13th franchise is indeed about a killer in a hockey mask and projects bleak and disturbing circumstances, the films are entertainment and a stress release for many people in the world. They have helped form a huge community of fans and have connected many people around the world. I think of everyone that I have met over the years while writing for this website and it has been a truly amazing experience. From myself and my family, I wish everyone a joyous Christmas and Holiday season and hope everyone stays safe and enjoys time with family and friends.